﻿ What are raccoons scared of? Wildlife Removal Advice - What are raccoons scared of? What are raccoons scared of? Raccoons are one of those kinds of animals that can be quite a nuisance around your home. They truly love to get into things, and can often do a great deal of damage around your house. It is not only about the trouble that they can get themselves into either. Raccoons often carry diseases, such as bacteria and parasites, which pose a serious health risk to you, your family, and your pets. This is why you want to try to be as proactive as possible at keeping them away from your home if you can do so. One way that people attempt to do so is by trying to scare the raccoon away. 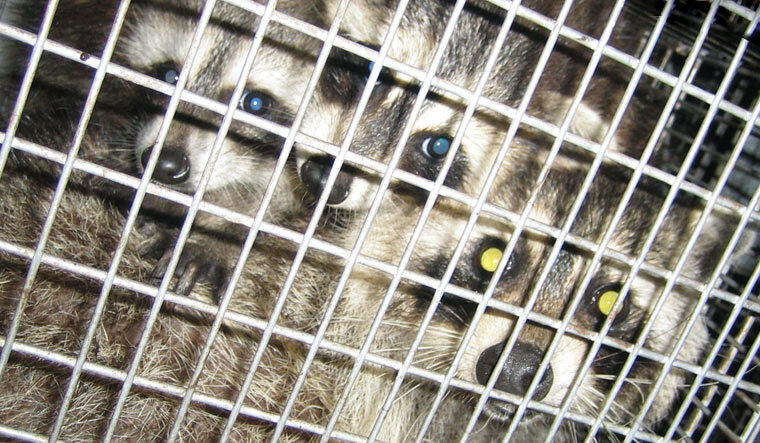 They look for measures that can make it so the raccoon will stay away from their property without them having to actively try to confront the critter. If you are looking for a way to scare raccoons. Then here are some suggestions for you. Find out whether or not raccoons can open doors or windows. First of all, understand that raccoons are nocturnal creatures. This means that they prefer to come out at nighttime and hunt as opposed to being out in the day. This gives them several advantages in terms of survival, and so this is why you will see them out during this period. This is one of the ways that you can attempt to scare a raccoon. Because they are nocturnal creatures. They do all that they can to avoid areas where there is a large amount of light. By using a floodlight around your property, you can do a great deal to try to deter these animals away. In fact, one of the most successful means that you can use to scare off a raccoon is by using a motion sensor that activates a floodlight. If the raccoon comes into your yard or across your property and activates that light, it will brightly shine down on them and they will be startled and run away. Learn more about if raccoons live in trees or sleep in trees. The same method can be used if you decide to use a sprinkler system that is activated using a motion sensor. Water can be an equally successful deterrent in getting a raccoon to go away, especially when it suddenly turns on and startles the little critter. You don't need to be particularly high-tech to try to get these animals to go away. Many have success by using very low-tech ideas. Having a pet can be quite successful as well. Raccoons don't particularly like large dogs and so if you have one of these animals you can have a great deal of success in scaring the raccoon away as well. The best part about it is that you don't even have to release your dog into the yard. Frequently the raccoon will run away just because of the noise the dog makes. If you have a recording of a dog barking that you can play you can have just as much success. As you see, it is noises and light that will have the greatest amount of effect on keeping a raccoon away from your property. This protects you and ensures that you don't have to do very much to keep this animal away.